An inbound marketing program is a great way to connect with your audience. But with so much competition for attention, it can be tough to get in front of the right people. That’s where strategic inbound advertising can come in handy. By incorporating advertising into a robust inbound marketing strategy, you can drastically increase the number of qualified leads that come into your funnel. Inbound advertising is good for marketing teams that are committed to an inbound program but want to increase their visibility or amp up their results. Inbound advertising is not for people looking for a “quick fix.” While social advertising on its own is highly effective, the best results come from using compelling, helpful content to build relationships with your audience. Once you have a strong inbound marketing program in place, we’ll partner with you to develop a comprehensive advertising strategy. We’ll work with you to identify your strongest, most valuable content and create a plan to get it in front of highly-targeted audiences. That depends on your goals and how developed your existing inbound strategy is. Generally speaking, within the first week of incorporating targeted paid advertising, you should start to see a significant increase in the number of leads generated. Traditional paid ad agencies typically have a limited understanding of the inbound methodology. When you try to bolt on advertising to an inbound strategy–instead of thoughtfully incorporating the two programs—the results will be subpar. 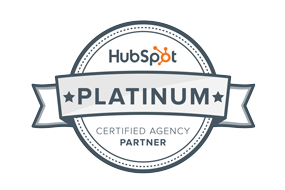 We understand that advertising is just one piece of the inbound puzzle. When you work with us, we’ll partner with you to develop a comprehensive advertising strategy that gets results. With our HubSpot expertise, we’ll ensure your ad strategy is adaptable and trackable so you can easily identify the leads that need more nurturing, and hone in on those who are ready to buy.